He's back! 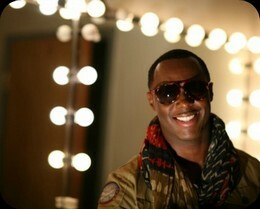 Mr. Worshipper himself, Micah Stampley, has returned on a new label and a great new sound. He still has his familiar favor yet with a few surprises to showcase his dynamic musicality. 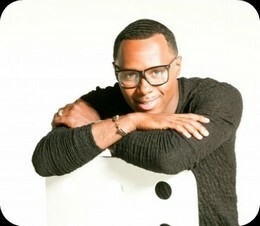 GOSPELflava.com had an opportunity to chat with Stampley about his new CD, life and what's next. Love Never Fails is Stampley's sixth release, but the first on his new label, Motown Gospel. The 11-track CD is a blessed testament of life, love and God. When asked what the project is about, he remarks that "it's simply a love letter to God. I want people to remember that Jesus loves you... He loves you so much. And His love for us will never fail." The project wastes no time and goes right in from the start with mighty worship tracks, "We Will Praise You", "Destiny" and "Oh Give Thanks." "We Give You Praise" is an astounding exclaim as to why we should offer praise to God where you can tell Stampley gave it his all. This seems to make sense as to why he considers it his favorite song on the album. "It's all about worship, which is who I am. I have to give praise back for all that God has done for me", Stampley says. He certainly has much to be thankful for since his 2005 Songbook of Micah debut. He has maintained a since of longevity and a devoted fan base which has taken him around the globe. "God has opened so many doors for me. I've been all around the world singing the gospel... even to Dubai and Iraq." One of the places Stampley loves to visit is the Carribean. He joins forces with Jamaican songstress Chevelle Franklyn, one of Jamaica's leading psalmists, on "How He Loves Me." You will definitely feel the like you're in the midst of the islands with this joyous reggae tune. "Because I travel often, especially to the islands, I have plenty of influences from the places I go to. So I had to work with Chevelle. The States may not know her, now but you will. She's is awesome!" The pièce de résistance of the release has to be the title track. Here Stampley teams up with Sheri Jones-Moffett of Donald Lawrence & Tri-City Singers and Ted & Sheri acclaim. Their pairing is reminiscent of awesome duet mates Daryl Coley and Vanessa Bell Armstrong. "Sheri and I have known one another for years. So when I asked Sheri if she'd like to work with me, she just said let me know when. " Their superb vocals create a stirring combination of worship and adoration about the wonderment of God's love. If you are a fan of his previous hit "War Cry", you will be admirer of "The Greatest." Other serene worship singles are "Let The Church Rise" and "Zion." Both showcase Stampley's compassionate side. Stampley also does a brilliant job on the covers included on the project: Chris Tomlin's "Our God," Chris Rice's "Come to Jesus" and "You Raise Me Up" (popularized by Josh Groban). When some may consider these (and especially Groban's tune) unexpected, Stampley responds, "I've always been a fan of Josh Groban! Since this project is all about love, I thought the song would be perfect. It's not only about a person, a wife, a husband being there for you, but God being there. He has the power to raise us up every time. That's love!" Stampley added. One of the things you may not know about the "Holiness" singer is he's also an actor and former model. He's appeared on TV in Tyler Perry's House of Pain and the USA Network series Necessary Roughness. In December 2013, Stampley will make his big screen debut with the wisecracking Will Farrell in Anchorman 2: The Legend Continues. "I've been acting for a while. Acting and modeling came before music. So I'm just beginning to get more opportunities." From music to acting, all and all, Stampley remains humble. From his modest Louisiana upbringing to acclaim across the seas, he unalterably admits he's an ordinary person. How ordinary? He loves to eat Cap'n Crunch cereal. His favorite food is sweet potato pie and he's a fan of the TV show 24. He still has a dream to one day work with one of his favorite artists, Donnie McClurkin. From the new CD on the new label, Stampley wants people to know he's a worshipper. All that he does, with all that God has given him, is he wants to lift up the name of God. 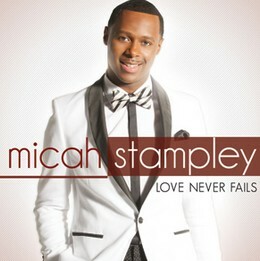 If Love Never Fails is any indication of his love for God, watch out because Stampley will skyrocket. "Eye hath not seen, nor ear heard, neither have entered into the heart of man, the things which God hath prepared for them that Love Him." [1 Corinthians 2:9 (KJV)]. All content in GOSPELflava © copyright 2013. No information to be reprinted or re-broadcast from this site without the expressed written consent of GOSPELflava.com. All rights reserved.